Web Exclusive—Read an original short story set in the world of Eldh! 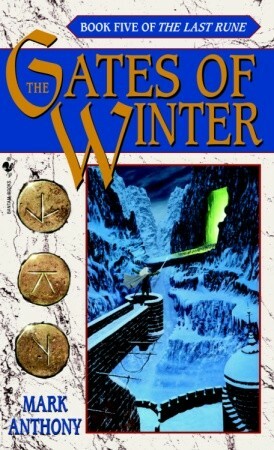 “The King of Winter” was originally published in Dragon Magazine #265. The story takes place centuries before the events of Beyond the Pale, and tells the tale of Dor Calavus, the loyal commander of a lonely outpost of the Tarrasian empire, and the desperate events that led to the founding of the oldest of the seven Dominions. Reality is unraveling in the dusty Colorado town of Castle City. Strange symbols are carved into storefronts, and ancient legends come to life. Saloonkeeper Travis Wilder is handed an ornate iron box and a mysterious mission. And in Denver, where dead men walk, ER doctor Grace Beckett is witness to a terrifying and inhuman scene of carnage. Theirs is a destiny shrouded in a coming darkness, a destiny that draws them into the otherworld of Eldh…. Eldh is a land of gods and monsters, myths and runecraft, conspiracy and blood. It is a world that has secretly coexisted beside ours for millennia. But now the boundary between worlds is crumbling in the face of a monstrous evil. And Travis and Grace must save this strange land in order to safeguard their own world. When the disease strikes his closest friend, Travis is drawn back to Eldh, where the same epidemic, known as the Burning Plague, is wreaking another kind of havoc. There, in a realm of gods and monsters, myths and runecraft, Travis and his former companion Grace Beckett—herself from Earth but now living on Eldh—must solve the riddle of the plague. Where did it come from? What is its purpose? And how can it possibly be stopped…before it completely destroys two coexisting worlds: ancient Eldh and modern Earth. A twist of time has left Runebreaker Travis Wilder and three of his otherworldly friends stranded on 1880s Earth, in a lawless Colorado mining town. As they search for a way back to their own time, Grace Beckett—in present-day Eldh—journeys to a frozen kingdom where she learns her own terrifying destiny: to oppose the Pale King and his monstrous army in the coming cataclysmic battle that will decide Eldh’s future forever. If the Pale King emerges victorious, his master Mohg, the dread Lord of Nightfall, will return from exile, break the First Rune, and remake Eldh in his own dark image. And Earth itself, Eldh’s sister world, will be next to fall to under shadow. Even if Travis returns to Eldh in time to align his calling as Runebreaker with Grace’s destiny as Blademender, how can two mere human hope to defeat an evil more ancient than any world, more powerful than all existence? Runebreaker Travis Wilder has found a new life free of magic and fate—until an unexpected event draws him back to Eldh. Two thousand years ago, the city of sorcerers, Morindu the Dark, destroyed itself so that its secrets could not be stolen by its foes, the Scirathi. Blood sorcery was banned until the city could be raised from the sands that had swallowed it. But some defied that law—and now one has emerged with news that the lost city has been found. The Scirathi have only to find the key: the blood of Travis—or his daughter. O.K .I give up as a resident of the U.K . I’m feeling like someone has locked me in the attic at a certain orphanage outside Denver . Why can’t I get ebooks of my favourite series ? 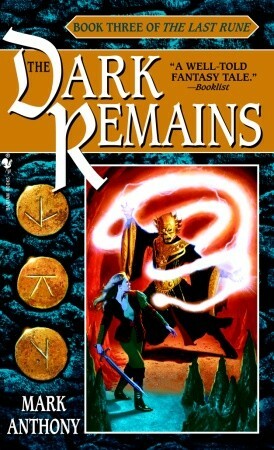 I have a Kindle Ereader , thie goes everywhere wtih me , Its loaded with Ray Feist , Dave Eddings , (the late) Roger Zelazny , Moorcock , Sage etc etc BUT there doesn’t seem to be any way I can get hold of “The Last Rune series” to load into it !!!! Bit of a downer realy . So will you please tell me how I can get the series in ebook form ? Many years ago I picked up a rather thick novel in the Fantasy section . I read the synopsis and “something” seemed to say “buy me” in the quiet part of my mind . 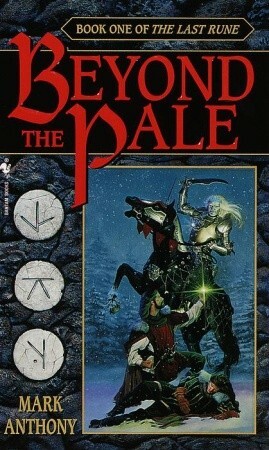 So I did , and on my way home on the train I opened the first page of ” Beyond the Pale” and was lost . I have all the series now , in fact I have replaced two or three copies due to “hard reading” > So now I want to put them into my Kindle but cannot do this in this country .Help !!!!! I have recentlt got myself a kindle and have tried to purchase both the gates of winter and the first rune as here in australia ive made inquireies at a couple of local bookstores and none of them have heard of them and on the kindle site it says its unvailable to purchase i have paperback copies of the first four books in the series and have been looking forward to reading the last two books to finish the series. 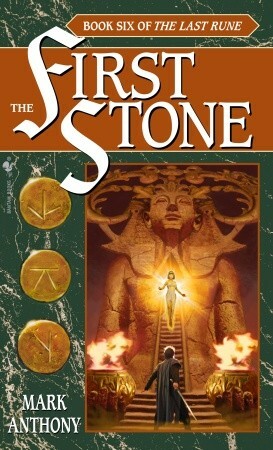 I was introduced to The Last Rune by a friend who has all 6 Books. I had never read fiction in my life. I’m 56 yrs. old. I found all 6 volumes hard to put down. I finally completed Book Six today. I feels like I’ve been on Eldh and Earth moving through adventure after adventure for months on end. Now it’s over! What’s a girl to do without Travis, Beltan, Grace, Vani, Aryn, Lirith and oh let’s not forget trustworthy and loyal Durge! I shall miss them all very very much. A fantastic series. I’ve been lost in them. Now, I have to clean up my house and come back to the “real” world. Thank you so much MA…it’s been great. I had to chase them down to get all books together (took me months!) – was pretty tough to get them here in germany. They are no longer published, but I just reread them last year and it was AGAIN an amazing time with all my favourite characters – miss them a lot. I even infected a good friend of mine with your books. Many of my friends have seen this book series because of me, in fact my copies are still out and about being read by people I know. Haven’t seen them for going on 3 or 4 years possibly more with all the lending they have gone threw. I’m starting new again and love them just as much as the first time I read the second book (yes I started with the second book that I found at a used book store when I was 13) almost 12 years ago. This will be round 3 for the first 4 books and round 2 for book 5 and 6. 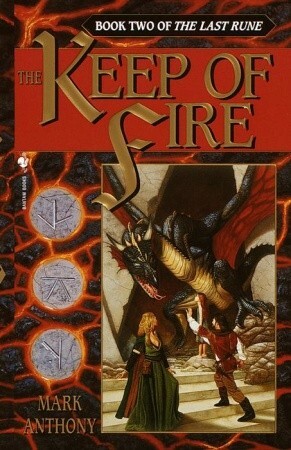 I recommend this series to anyone who likes fantasy books, and wants to live an adventure. Never been so attached to characters like this series. Asking what everyone else is thinking: collector’s edition??! I would love to be able to buy a boxed set for my dad, seeing as I scooped his books when I left for university…. And I’ve just now discovered this alter ego of yours. Heavenly! do you have a Twitter account? Couldn’t find you. Found the complete series in one of our local used bookstores about 6 years ago. My wife loved the story so much she read it to me. Now she wants to share the story with her mother who’s eyesight is failing. Is there any way to get the story to audible or another audio book company? I hope the reader could do it justice, such an awesome story I would be very sad if the reader didn’t read it well. Thank you! Thanks so much for your comment, and that’s so great that your wife would like to share The Last Rune with her mom. 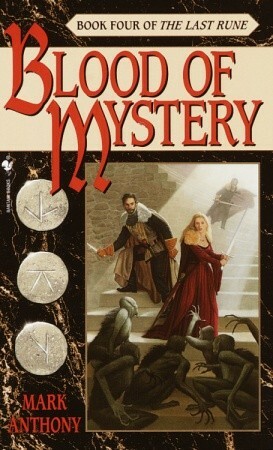 Unfortunately, there isn’t an audio book version of the series. I wish that there was! Maybe she’ll feel up to reading a bit of it with her mom. Wishing you all the best.